Eyewitness News 5 co-anchor Jessica Schambach visited recently with new OKDHS Chairman Wes Lane about pending reforms at the Department. Here is a link to the video of that interview. Oklahoma City - In June the Oklahoma State Department of Education unveiled an app for smart phone users. The app allows anyone to access OSDE resources at their fingertips. The Department has been a leader in innovative ways to keep the public better informed. Since taking office early last year State Superintendent Janet Barresi has updated the Department's website making it more user friendly. Barresi has also started an iTunes U Library and a YouTube Channel. Recently Norman Public Schools created an app to provide timely and important information to parents and students. Other districts have since done likewise. These innovations are a commendable trend in education. They empower parents and students to be better informed education consumers. OKLAHOMA CITY – Attorney General Scott Pruitt Friday asked a federal judge to lift a stay on Oklahoma’s health care lawsuit and allow the state time to address the U.S. Supreme Court’s ruling on the Affordable Care Act. The Oklahoma lawsuit was filed on Jan. 21, 2011, in the U.S. District Court for the Eastern District of Oklahoma. It is pending before Judge Ronald White, who stayed the case while the U.S. Supreme Court decided a lawsuit filed by Florida and 25 other states. 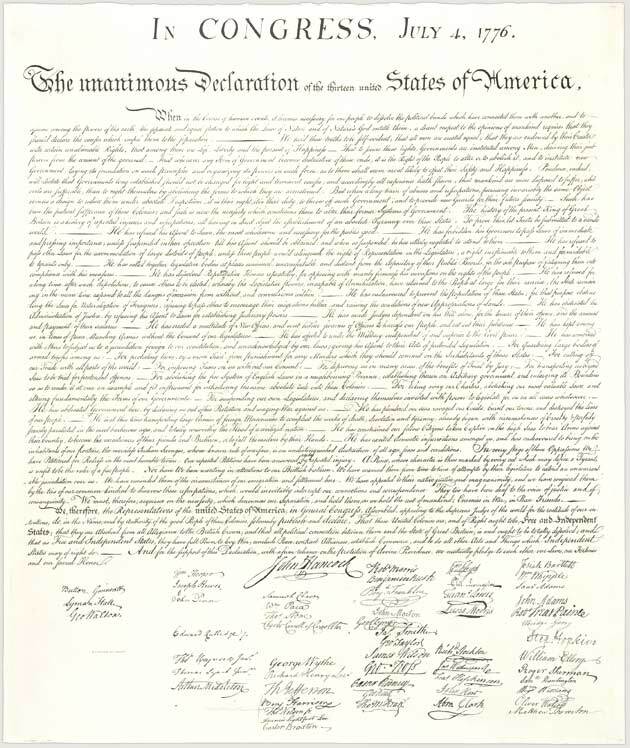 The Supreme Court decision was issued in June. The Attorney General’s Office is reviewing several aspects of the health care law and tax, including a new rule by the Internal Revenue Service. The rule contradicts a provision in the health care law that keeps businesses from being taxed for lack of employee insurance coverage in states like Oklahoma, where a state-run health insurance exchange has not been created. Attorneys, led by the Solicitor General, also are assessing the effect of the Supreme Court’s ruling on Oklahoma’s constitutional amendment (Article II, Section 37) that prohibits any government from “mandating” Oklahomans to purchase health insurance. State Question 756 – The Oklahoma Health Care Freedom Amendment – was passed in November 2010 with more than 70 percent of the vote. OKLAHOMA CITY (JULY 26, 2012) – Overall statewide scores for Oklahoma's lineup of core curriculum and end-of-instruction tests saw modest gains in a report released to the State Board of Education Thursday, with ACE (Achieving Classroom Excellence) end-of-instruction tests in critical math subjects showing the most significant gains. Algebra II scores on ACE end-of-instruction tests — one of the most important indicators for college readiness — were up 21 percentage points compared to 2008. Algebra II results saw a gain of 8 percent compared to last year for the percentage of students who demonstrated proficiency, with 74 percent of students taking the test demonstrating proficiency in 2012. There has been a steady increase from the 54 percent of students who passed that exam in 2008. Students also showed gains in Algebra I, Geometry and English III. Geometry and English III have both demonstrated noteworthy increases since the tests were first implemented in 2008, with Geometry gaining 14 percent and English III posting a 10 percent increase. Additionally, 2012 OCCT (Oklahoma Core Curriculum Tests) math results for grades 3-8 and OCCT reading results for grades 3-8 saw modest gains. Meanwhile, third-graders showed no improvement in math while fourth-graders' results remained flatline in reading. OCCT science results for fifth and eighth-graders also saw slight declines, while the overall level of proficiency in this area remained high. "This shows the need to press forward with our new third-grade graduation reading requirements next year, as well as our emphasis on science, literacy and math," Barresi said. In 2011, the State Legislature mandated a new third-grade graduation requirement, meaning that students not reading on grade level will not proceed to the fourth grade beginning in the 2013-14 school year. 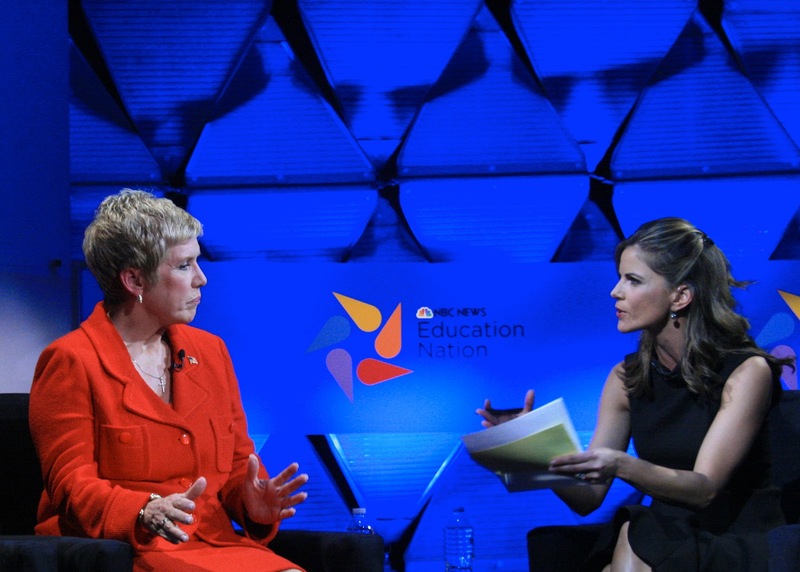 Barresi said the reform's focus is on identifying struggling children beginning in Kindergarten and assisting teachers to help children learn to read. Barresi pointed to bright spots in other areas of the testing results, and said results provide momentum for more work to be done. 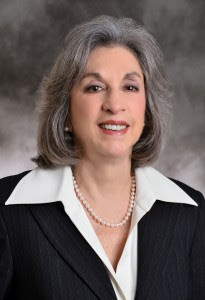 For example, Barresi noted that eighth-grade writing scores on the Oklahoma Core Curriculum Test (OCCT) were up 5 percent this year over last; 90 percent of eighth-graders showed proficiency on the writing test in 2012. At the same time, fifth-grade writing is an area in need of improvement. The percent of fifth-grade students proficient on the exam dropped four percentage points to 74 percent proficient in 2012. "Readiness for both sixth-grade and high school are important goals in our stair-step approach to college, career and citizen readiness," said Barresi. "We can't have one without the other. While we should celebrate areas of improvement, we also need to pinpoint those areas that remained the same or declined slightly. We've got a lot of work to do over the next few years, and our initiatives and reforms have positioned us for future success. We're making steady progress in some areas, but this is certainly no time for complacency." Last week, Barresi noted, Education Next and Harvard University's Program on Education Policy and Governance released a study showing that the U.S. ranks 25th out of 49 nations in fourth- and eighth-grade test score gains in math, reading, and science over the period 1995-2009. The study found that Oklahoma’s rate of test score gains ranks third lowest in the nation between 1992 and 2011. Oklahoma has continually increased the rigor of its assessments since the early 1990s, which is one factor in the lag noted in the study, according to Maridyth McBee, assistant superintendent for accountability and assessment. Barresi said Oklahoma's School Testing Program results for this year represent a critical point for the state's education system. This is the last year before Oklahoma fully transitions to new Oklahoma C3 (College, Career and Citizenship) Standards, which will incorporate more challenging and in-depth Common Core State Standards in English Language Arts and math, as well as literacy across all subject matter. A state-led initiative to establish benchmarked academic standards and assessments that truly prepare students for success in college and the work place, the Common Core State Standards will be incorporated into Oklahoma's C3 Standards as part of an overall strategic move toward more rigor and accountability across the state. The public is invited to a showing of a 30-minute documentary that describes how the Lindsey Nicole Henry Scholarships are changing the lives of Oklahoma families. The showing will be followed by a panel discussion on the future of the scholarships with law professor Andrew Spiropoulos and state Rep. Jason Nelson. Tickets are free but space is limited. Visit http://henryscholarships.eventbrite.com/ to reserve your seat. 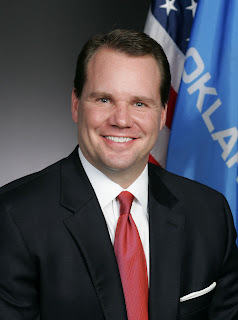 OKLAHOMA CITY – State Rep. Jason Nelson (R-Oklahoma City) released the following statement regarding the approval today of the Pinnacle Plan by Children’s Rights, a New York-based advocacy group that sued the Oklahoma Department of Human Services in 2008 to in an effort to bring about agency reforms. The Pinnacle Plan is a set of DHS reforms approved by the Oklahoma Legislature this year. "Approval of the Pinnacle Plan will be remembered as the moment the status quo started changing for the better in Oklahoma's child welfare system. The Pinnacle Plan represents the most comprehensive and aggressive reform of our state's child welfare system in this agency's history. It's clear to anyone who reviews the plan that this is not an attempt at a political quick-fix. This is a complex, long-term solution that will make a meaningful, transformational difference for Oklahoma's at-risk children. Oklahoma now stands above other states facing similar child welfare challenges due to the unwavering support of our major stakeholders, including the Legislature, the governor, the agency and all others. The public should have confidence in the plan and high expectations for the results it can bring if all stakeholders continue working together to ensure the plan's full implementation. Children in state custody will be much safer and see far better outcomes under this historic plan." Oklahoma City—The Oklahoma Department of Human Services received endorsement today from outside child welfare experts on a bold improvement plan for its child welfare system. The plan, referred to as the “Oklahoma Pinnacle Plan” is part of a settlement agreement reached in January 2012 in the D.G. vs. Yarbrough class action, civil rights lawsuit. OKDHS agreed in the settlement to make targeted performance improvements related to the way it cares for children in foster care. As part of the settlement agreement, three out-of-state child welfare experts (referred to as co-neutrals) were selected to oversee the state’s improvements. The plan was first submitted on Mar. 30 to the co-neutrals and since that time the monitors have worked with OKDHS officials and plaintiffs to refine the plan and ensure the initiatives outlined will achieve needed improvements in the state’s foster care system. “This is an exciting time for all of us who work in child welfare,” said Deborah Smith, Director of OKDHS Child Welfare Services. “The Pinnacle Plan’s name reflects our goals--to reach the highest point possible in our child welfare program. This plan is the result of a lot of hard work and collaboration by people who are very committed to improving our system that protects abused and neglected children." 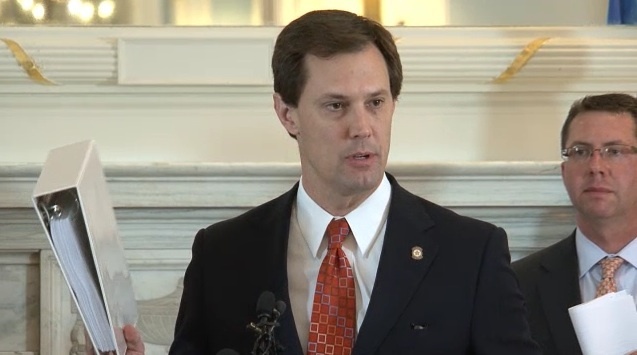 "This is an exciting time of great reform at DHS," said Wes Lane, Chairman of the Oklahoma Commission for Human Services. "Rarely before in state history have we seen so many people all pulling the same wagon in the same direction. To our legislators, our Attorney General, our Governor and to the many DHS staff who have worked tirelessly with the Co-Neutrals to put this plan together - the Human Services Commission says a hearty thank you! With this continued unity of purpose, we will be successful and our children the better for it." On January 4, 2012, the Oklahoma Department of Human Services (OKDHS), jointly with the Governor’s Office and the Oklahoma Commission for Human Services, reached an agreement with the Plaintiffs in the federal class action litigation DG vs. Yarbrough, Case No. 08-CV-074. The settlement agreement charged Oklahoma to develop a plan to reform, strengthen and improve the Oklahoma child welfare system to better serve the State’s children and families. Over the past seven months, OKDHS, with the assistance of state leaders, advocates and other stakeholders developed the Pinnacle Plan, a five year roadmap of significant commitments, beginning with State Fiscal Year (SFY) 2013, to address the 15 performance areas identified in the parties’ settlement agreement approved by the court. The State and the Plaintiffs chose and approved the three of us to serve as “Co-Neutrals” under the agreement, vesting in us the authority to approve or reject the Plan prior to its implementation, and then monitor its implementation. Reasonable workloads for staff so that they can devote themselves properly to the needs of vulnerable children and families. This is a thoughtful and ambitious plan; very hard work is yet ahead to build the system OKDHS describes. Success will require the continued leadership and support of all three branches of government in the best interests of Oklahoma’s children. It will not be easy – change of this magnitude will take time. Focus, investment, transparency and perseverance will be essential to reach the goals identified in this Pinnacle Plan. As Co-Neutrals, we intend to report fairly and openly over the next five years on the State’s progress in making the Pinnacle Plan a reality for the children and families of Oklahoma. As contemplated by the parties’ original agreement, we now turn our attention to working with the parties to identify the specific performance targets and baselines that will mark Oklahoma’s progress in the implementation of the Pinnacle Plan, which we expect to finalize by no later than December 2012. The Oklahoma Department of Human Services announced today it is increasing reimbursement rates for foster families and pay for child welfare workers over the next five years. The increases are part of the Pinnacle Plan for improving child welfare services. State Rep. Jason Nelson, R-Oklahoma City, supports the increases in reimbursement rates and worker pay. "We ask for a tremendous amount of sacrifice from foster parents and, frankly, from the workers on the front-line. They certainly deserve the increase. But great foster parents and great child welfare workers will tell you that money alone won’t lead to the improvements in the Department that are still desperately needed. Changing the culture at DHS is the kind of key reform needed that money can’t buy. "I will continue to work with Governor Fallin, the Department and others to make sure real improvements happen at DHS - particularly on the worker side. I have visited recently with Interim Director Preston Doerflinger and Commission Chairman Wes Lane about the need to professionalize the frontline workforce so we can attract enough quality applicants to these key positions. We also need to better train and support workers and link worker promotions and pay to demonstrated skill levels. These types of improvements in personnel policy will, in turn, improve the experience and outcomes for children in state custody and for the foster parents who open their hearts and homes to the these children. Since October, Nelson has served as chairman of a working group in the House of Representatives tasked with performing a thorough review of the Department of Human Services. The working group made several sweeping recommendations during the 2012 Legislative Session that were passed and signed by Governor Fallin. One of the recommendations by the working group resulted in State Question 765 being submitted to voters this November. SQ 765, if approved by the voters, would abolish the constitutional DHS commission. Oklahoma City -- The Oklahoma Department of Human Services is increasing reimbursement rates for foster families as part of its Pinnacle Plan for improving child welfare services. The new rates will take effect on Aug. 1, 2012 and will help in the retention of foster families across the state. Foster parents should see the increase in their September payments. As part of the OKDHS Pinnacle Plan for child welfare, the Oklahoma legislature appropriated funds for incremental raises for foster parents as well as child welfare staff over the next five years. Only the first year of the funding has been approved. The monthly reimbursement for foster parents is used to help pay for food, clothing, shelter, school supplies, personal incidentals and reasonable travel. The original rate was set 30 years ago with only two previous rate increases. Based on sources determining the cost of raising a child, the current rate is significantly below the rising increase in cost-of-living expenses. "It's not just about money," said Deborah Smith, Director of OKDHS Child Welfare Services. "We appreciate those foster parents who have stepped-up and provided safe, loving homes for so many children in Oklahoma. We still need 500 additional foster families and we are committed to improving the experience of new foster parents," Smith continued. "The rate increase is just one of the new initiatives we plan to implement to improve our response to people interested in fostering and to improve our services." Smith noted that increased rates for foster parents will affect future reimbursement rates for adoptive parents. The issue of recruiting additional foster families is important to Governor Mary Fallin who serves as a spokesperson for the OKDHS foster care recruitment campaign, "You can change a child's lifetime." "With more than 8,000 children in the Oklahoma foster care system, it's vitally important we recruit more foster families and ensure those families have the means to support foster children," said Gov. Fallin. 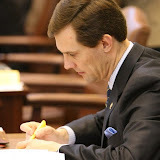 "By increasing reimbursement rates for foster families, as well as increasing the pay of frontline workers and reorganizing the structure of the child welfare division, Oklahoma is sending a strong signal that the state is committed to the reforms of the Pinnacle Plan, which will help us provide more transparency and accountability while ensuring our children are protected and well served." The legislature also appropriated funds for incremental salary increases for OKDHS child welfare specialists. The first year increases were approved effective July 16 and staff will see the increase in their August checks. Pay increases are just one of the initiatives aimed at supporting the child welfare workforce. OKDHS is also focused on worker certification, improving training, technology, supervision and more manageable caseloads. For more information about becoming a foster or adoptive parent, call 1-800-376-9729, send an email to bridge@ou.edu or visit www.okbridgefamilies.com (Link opens in new window). OKLAHOMA CITY — The Oklahoma Attorney General’s Office is providing inmate tracking information for Oklahomans and victims of crime through the Victim Information and Notification Everyday (VINE) program administered by the AG’s Victim Services Unit. Oklahoma’s VINE program is a free and anonymous service that allows Oklahomans to register and be notified about changes in the status of Oklahoma inmates. The service notifies participants with inmates’ current status information such as general release date, escape, returns from escape, death, out to court and unsupervised custody. VINE offers multiple ways to receive notifications. The service is available 24 hours a day year-round. Operators who answer the toll-free number are available in English and Spanish to assist victims, their families and the public in registering for VINE. The program is provided in county jails and the Oklahoma Department of Corrections. VINE transfers data every 15 minutes from county jails, and DOC and probation and parole data is processed each evening. To sign up for the VINE program, Oklahomans can log onto www.vinelink.com or call (877) OK4-VINE. Oklahoma City, OK—Lt. Governor Lamb joined thirty of the nation’s state and territorial seconds-in-command at the annual National Lt. Governors Association (NLGA) meeting where he was named Chair-Elect to the NLGA’s executive committee. 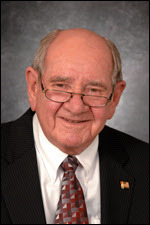 Lamb previously served as Treasurer of the organization, elected shortly after entering his first term in office. The NLGA Executive Committee, elected annually through a Nominating Committee and approval process, is the governing body of NLGA. The Chair and Chair-elect are of opposite political parties and rotate annually. The Executive Committee meets at least twice a year. 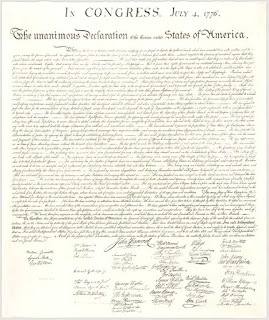 The 2012 meeting in Chicago marked the 50th anniversary for the NLGA. In addition to Lt. Governor Lamb’s election, Lt. Governor Tim Murray of Massachusetts was elected Chair of the NLGA and Lt. Governor Elizabeth Roberts of Rhode Island was elected Treasurer. Last year, Lt. Governor Lamb was able to secure the 2013 annual NLGA conference in Oklahoma. “I look forward to another great year with the NLGA as we prepare for them to visit Oklahoma in 2013,” added Lamb. OKLAHOMA CITY – Governor Mary Fallin today named Brandon Clabes and Myron Pope to the Department of Human Services (DHS) Commission. Clabes and Pope will fill vacancies on the commission created by the resignations of Steven Dow and Anne Roberts. Clabes of Choctaw is the chief of police in Midwest City and has served in the department since 1979. Under Clabes’ leadership, the Midwest City Police Department became the first department to embed a DHS social worker within its agency to assist in the assessment of child abuse and neglect cases. Clabes is a past board member of the Oklahoma Chiefs of Police Association and past president of the Metro Chiefs Association. Clabes earned a bachelor’s degree in political science from the University of Oklahoma. He serves as an adjunct professor of criminal justice at Rose State College. Clabes is replacing Dow and will serve out the remainder of his term through August 2018. Pope of Edmond is the vice president of enrollment management at the University of Central Oklahoma. He is the current chair on the board of directors at the Edmond Chamber of Commerce, a member of the Edmond Rotary Club, board member at the Hope Center of Edmond and a member of the Leadership Edmond Steering Committee. Pope coaches and mentors children at the Edmond YMCA. Pope earned a bachelor’s degree in history and English, a master’s degree and doctorate in higher education administration all from the University of Alabama. He is replacing Roberts and will serve out the remainder of her term through August 2014. State Superintendent Janet Barresi recently announced Oklahoma’s 2013 Teacher of the Year finalists at a special presentation at the Oklahoma state Capitol. Committees comprised of teachers, parents and community members selected the 12 finalists -- two finalists from each of the six regions in the state. 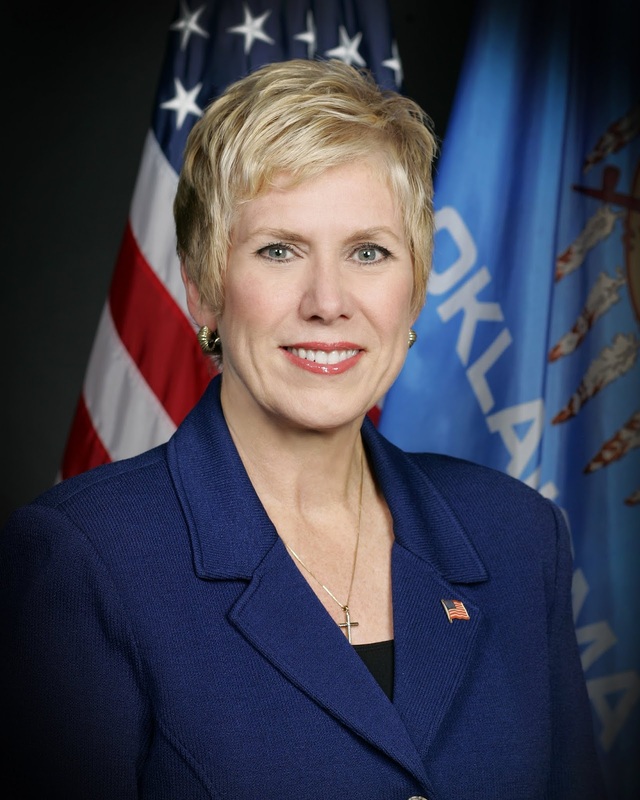 A state committee comprised of education business and civic leaders will choose the winner, with Superintendent Barresi scheduled to make the announcement in ceremonies at the Oklahoma State Fair in September. The winner represents Oklahoma in the national Teacher of the Year competition, receives more than $50,000 in cash and prizes from generous donors, and serves as Oklahoma’s “Ambassador of Teaching,” presenting to teachers and civic groups throughout the state for one year. Cindy Bailey – is a 9th- through 12th-grade Algebra I, geometry, pre-calculus and ACT prep teacher at Altus High School with 14 years of experience. Carol Brinsfield – is a 3rd- and 4th-grade reading teacher at Checotah Intermediate School with 16 years of experience. Andrea Brock – is a 7th-grade math teacher at Moore West Junior High with eight years of experience. Daniel Buckmaster – is a 6th-grade science teacher at Belle Isle Enterprise Middle School in the Oklahoma City Public Schools District with seven years of experience. Kyle Cooper – is a prekindergarten teacher at Central Elementary School in the Coweta Public Schools District with eight years of experience. Tiffani Cooper – is a 9th- and 10th-grade Advanced English I and II teacher at Owasso Mid-High School with five years of experience. Elaine Hutchison – is an Algebra II, trigonometry, pre-calculus and AP calculus teacher who splits her time between Fairview High School and Chamberlain Middle School in the Fairview Public Schools District and the Oklahoma School of Science and Mathematics Regional Center. She has 19 years experience. Lisa Lamont – is a kindergarten teacher at Irving Elementary School in the Muskogee Public Schools District with 13 years experience. Kim Landers – is a 9th- through 12-grade Spanish teacher at Deer Creek High School with 14 years experience. Lane Matheson – is a pre-AP physics, AP physics B, digital electronics, and engineering robotics teacher at Memorial High School and Engineering Academy in the Tulsa Public Schools District. She has 16 years experience. Brenda Roberts – is a 3rd-grade teacher at Homer Elementary School in the Byng Public Schools District with 13 years of experience. Lee Ann Stone – is a kindergarten teacher at Woodward’s Early Childhood Center with 21.5 years of experience. Go here for more about the Oklahoma Teacher of the Year. OKLAHOMA CITY – Sales tax revenue climbed by 13.1 percent in June over the previous year as Oklahoma closed out Fiscal Year 2012 collections to the General Revenue Fund with enough money to make a record $306.8 million deposit into the state's Rainy Day Fund, Secretary of Finance Preston Doerflinger announced Tuesday. "This preliminary report drives home the role consumer confidence has played in Oklahoma's economic recovery in the fiscal year ending June 30," Doerflinger said. "For the year, sales tax collections rose by 9.7 percent over the prior year. In June and at other times during the year, strong sales taxes helped ease energy tax variances due to low prices and tax rebates." Tuesday’s report shows FY-2012 collections to the General Revenue Fund totaled $5.543 billion. This amount was $405.3 million and 7.9 percent above collections for FY-2011 and $306.8 million, or 5.9 percent above the estimate for FY-2012. "It's stunning to realize that the Rainy Day Fund contained only $2.02 when Gov. 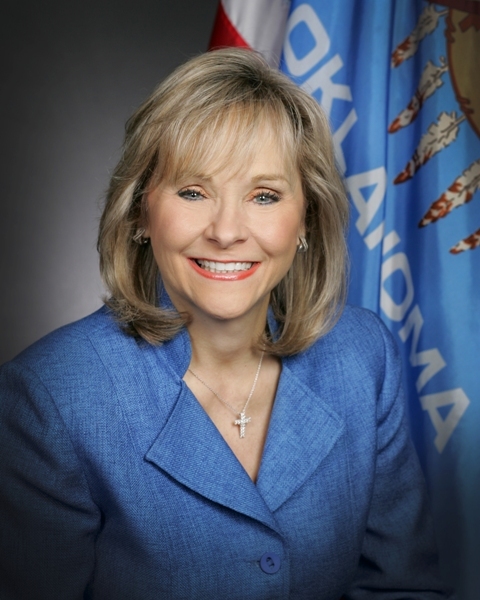 Mary Fallin took office less than two years ago." Doerflinger said. "With this deposit added to last year's $249 million deposit, we now have $556 million in our savings account and have moved within striking distance of the all-time record of $596.6 million reached before the recession." Gov. Fallin said, "It's great to end the 2012 fiscal year on a high note, as the entire year was a boon for the Oklahoma economy as collections exceeded the previous year by nearly 10 percent. Since January 2011, we've had positive growth over the prior year in 16 out of 18 months, and we've had double-digit growth in 10 months. We’ve also had a net increase of 38,200 jobs in the past 12 months ranking our state second in the nation for job creation. Our pro-business policies are succeeding in growing the economy and providing more opportunities for Oklahoma families. "Looking ahead to next year, it's important we continue our focus on policies such as workforce development and education reform, government modernization, as well as tax reform that will help us bring even more jobs and investment to the state." Doerflinger said he is hopeful that energy prices will improve during the new fiscal year, "understanding the impact of the oil patch on the Oklahoma economy. But our recovery has been broad-based, as high-lighted by the Oklahoma Department of Commerce's recent Economic Snapshot. "That report, among other things, pointed to Oklahoma gaining more than 38,000 jobs since the first of the year, ranking second among the states. We lost a few hundred manufacturing jobs in May, but kept our No. 1 ranking in that area with a growth rate of 6.6 percent. "I also found it interesting that our unemployment rate dropped to 4.8 percent in May at the same time the number of Oklahomans seeking jobs increased. Other states with low jobless rates have seen their workforce numbers shrink." Oklahoma's unemployment rate is the fifth lowest in the country and compares to the national rate of 8.2 percent. Oklahoma City -- The Oklahoma Department of Human Services has teamed up with Lt. 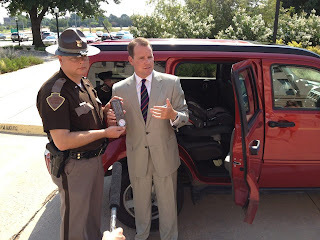 Governor Todd Lamb, the Child Death Review Board and the Department of Public Safety to remind Oklahomans about the dangers facing children during the summer months in hopes of preventing needless child deaths. "Children die each year from being left or becoming trapped in hot cars, and by drowning and not being supervised," said Sheree Powell, Communications Coordinator for OKDHS. "These are deaths that could have been prevented and we want to make all Oklahomans aware of what they can do to stop these tragedies before they happen." In the first half of 2012, 10 children have died in the U.S. from being left in hot cars. 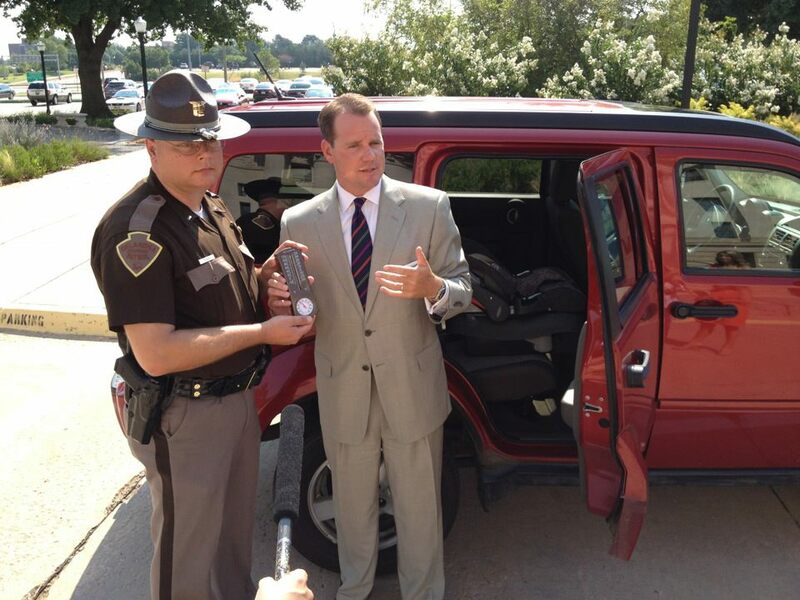 Since 2005, 12 Oklahoma children have died from hyperthermia - in a hot car. Half of those children were still strapped in car seats left in the car by a distracted caregiver. The other half were children who became trapped in the automobile during unsupervised playtime. There were two separate occurrences in which siblings died when they became trapped in a hot car. So far, no Oklahoma children have died this year from being left in a hot car but there have been some close calls. "We all know how quickly our cars heat up," said Powell. "A child's body temperature rises at a rate at least three times faster than an adult's. Hyperthermia can occur on days with relatively mild (70 degrees F) temperatures and vehicles can reach life-threatening temperatures very rapidly." 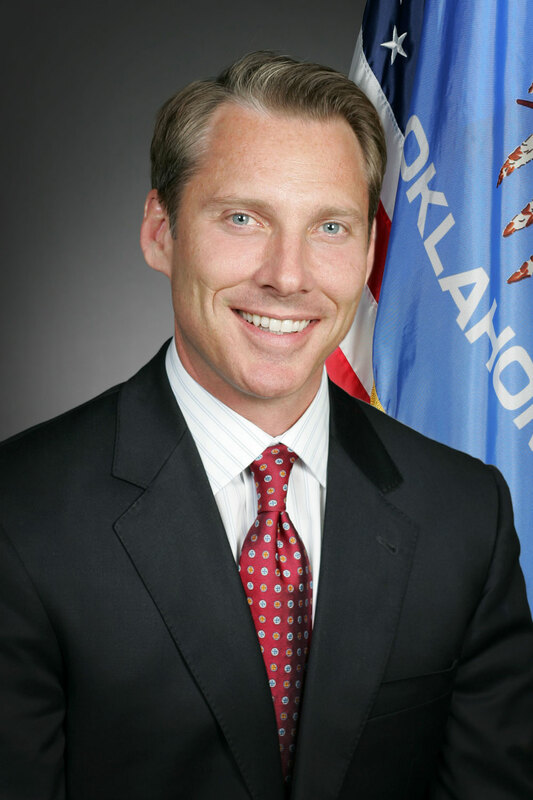 OKLAHOMA CITY – Governor Mary Fallin today announced the appointment of Wes Lane as chairman of the Department of Human Services Commission. The governor appointed Lane to the DHS Commission in September and since then he has served as chairman of a DHS Commission special subcommittee to review cases of child abuse and neglect. Lane is president of the Burbridge Foundation, a foundation dedicated to solving problems that impact families. He served for 21 years in the Oklahoma County District Attorney’s Office, including five and a half years as district attorney. He oversaw the office’s juvenile division and personally handled hundreds of DHS child welfare cases. Lane earned a bachelor’s degree from the University of Oklahoma and a law degree from the OU College of Law. Lane replaces Brad Yarbrough, who resigned as DHS commission chairman in June. Yarbrough remains as a member of the DHS Commission. OKLAHOMA CITY – Oklahoma finished the fiscal year well into the black, but the last month saw the largest decline of the year in gross production tax collections, State Treasurer Ken Miller announced today as he released the gross receipts report for June and fiscal year 2012. Total collections in June were pushed negative compared to the same month of the prior year due to a 42 percent drop in gross production collections. It was also the seventh consecutive monthly decline in gross production tax collections from the same month of the last year. June marked only the second month in the fiscal year where total collections dipped below the prior year. “Reductions in gross production and personal income tax collections combine to set our monthly number back, but other economic indicators, such as sales receipts, low unemployment and solid corporate profits, point to continued expansion,” Miller said. June collections are down by 0.6 percent from June of last year, Miller said. That compares to average growth during FY 2012 of 7.7 percent, including a 10.3 percent increase in income tax collections. "He (King George) has erected a multitude of New Offices, and sent hither swarms of Officers to harrass our people, and eat out their substance." Oklahoma City -- Jay Dee Chase, member of the Oklahoma Commission for Human Services, passed away Sunday, July 1, after a brief illness. Chase was appointed to the Commission by Gov. Brad Henry in February 2007. Chase served with the U.S. Army in Korea from 1951 to 1953. He is a highly decorated veteran who has received a Bronze Star, a Silver Star, a Combat Infantryman Badge and 11 additional medals. In 2004, he was named 100 Percent Disabled American Veteran for Oklahoma. He received a Certificate of Recognition for his service during the Cold War (Sept. 2, 1945 through Dec.26, 1991) from U.S. Secretary of Defense Bill Cohen. Before being appointed to the Commission, Chase chaired the Continuum of Care (Long Term Care) Legislative Task Force in 2001. He was one of 27 members appointed by Gov. Frank Keating, the Senate Pro Tempore and the Speaker of the House. The Task Force developed a vocational-technical training program and career ladder for nurse aides that was funded and became law in 2002. Chase was president of a pharmaceutical company from 1970 to 1984. He also served two years on the Oklahoma Legislative Pharmaceutical Committee. He has served on the boards of Arvest Bank, the Firehouse Art Center in Norman and the Arthritic Foundation. Chase was also an avid University of Oklahoma supporter and rarely missed a home football game. Chase is survived by his wife, Vickie, his daughter, DeAnn, and his son, Charles, whose nickname Bud is for longtime OU football coach Bud Wilkinson.